The Gold/Red Splitter achieve 1 GHz frequency by employing printed circuit board technology. This PCB is enclosed in a chromate-treated zinc alloy housing with a tongue and groove backplate/housing interface to produce a 110 dB EMI shielding. Machined F ports, flat mounting tabs and an integral heavy duty ground block further enhance this latest addition to the Regal line. 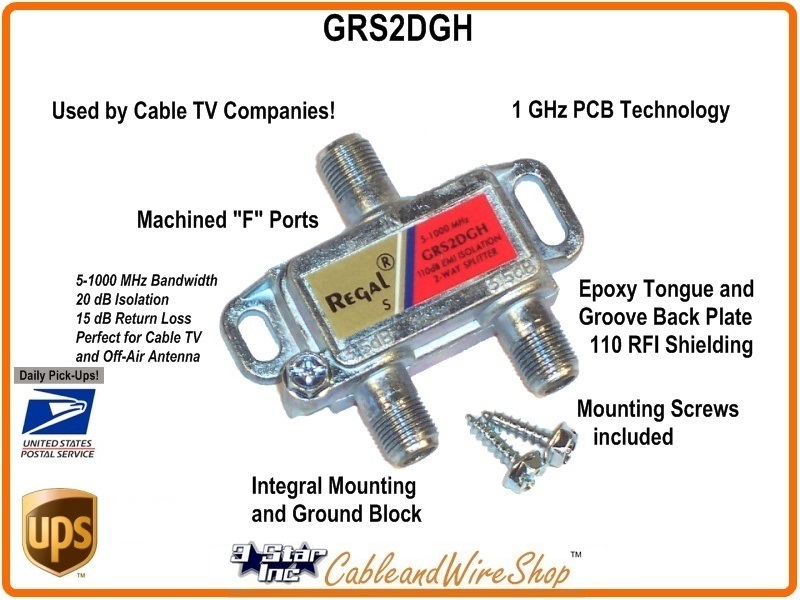 Note: This was another Main-stay of the Cable TV and Master Antenna Industry in its day. Plenty fo Cable TV Systems still use this Brand of Splitter In their System.